Chicago is world-renowned for its architectural achievements–heck, we’ve got a half dozen Frank Lloyd Wright’s in our own backyard–and not small among these wonders are Chicago’s performance venues. Here are ten of our favorite Chicago spots to take in some lovely arts. 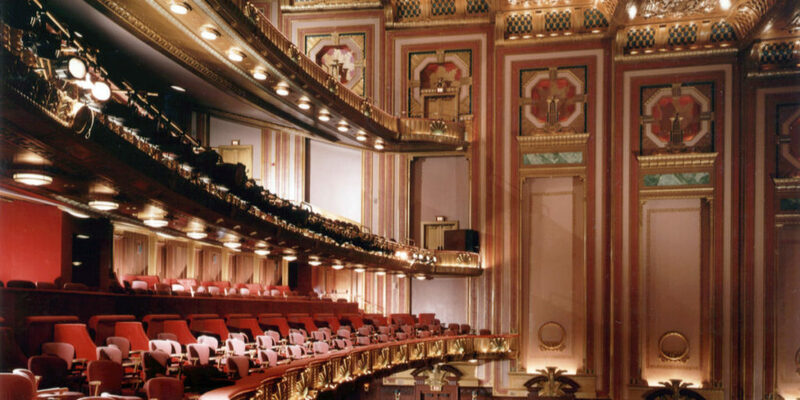 The Civic Opera House in downtown is home to the Lyric Opera of Chicago (although they occasionally produce the classic musical–check out the forthcoming My Fair Lady). 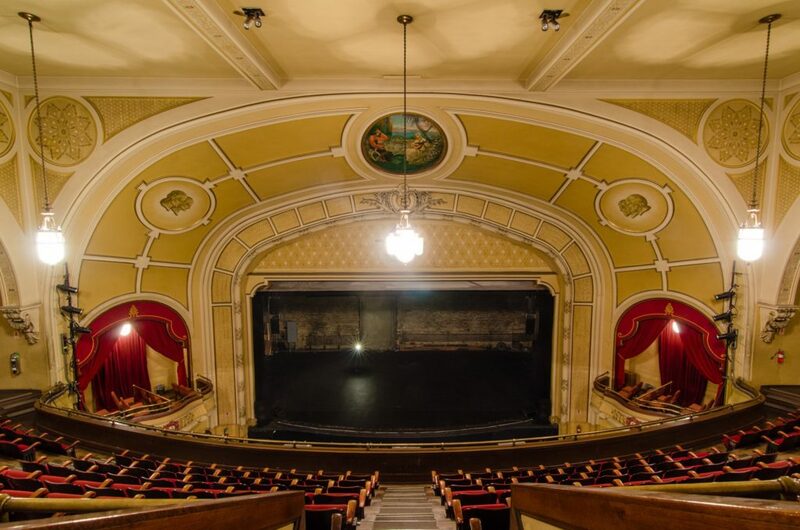 Built in 1929 with Art Deco detailing galore, the first opera produced there was the then-contemporary Camille by local composer Hamilton Forrest, which has never been performed anywhere else. Photo copyright After the Final Curtain. Just over on Michigan Avenue hides The Studebaker Theater, inside The Fine Arts Building across from Grant Park. Built in 1898 as a vaudevillian stage, it went on to feature many great performances by such talents as Bob Hope and Peter O’Toole. It closed in 2000 after a steady decline in attendances, and only just this past fall reopened under a new renovation to boot, when Henry Purcell’s Shakespeare riff-opera The Fairy Queen played. Photo credit Chicago Historical Society. A mile and a half north sits the old pumping station used to draw clean water from Lake Michigan along with the adjacent Chicago Water Tower, both built in 1869. 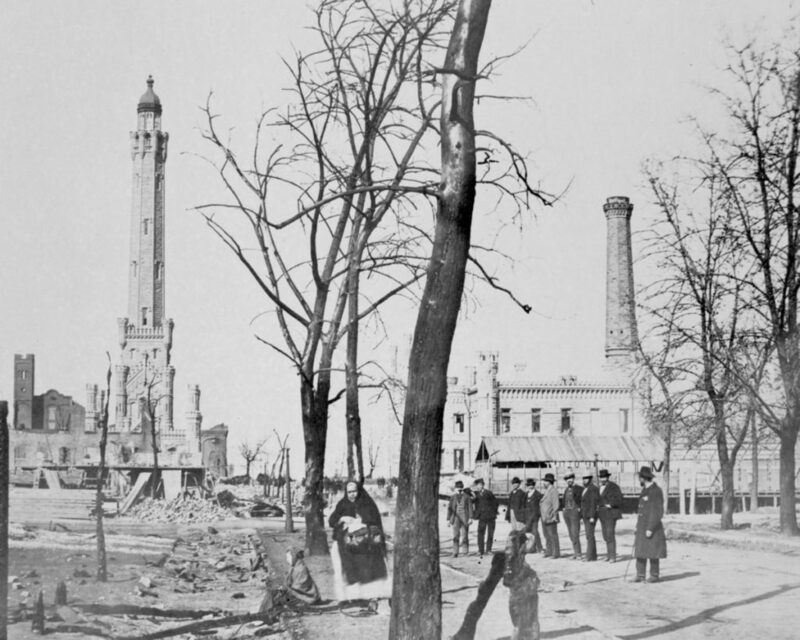 Two years later the Water Tower was famously one of the only buildings to survive the Great Chicago Fire. Although constructed before any of the other venues, the pumping station did not host performances until it was renovated in 2003 to include a fully functional theater, now the home of Lookingglass Theatre Company. A more recent treasure in South Shore, the Stony Island Arts Bank was a 1923 bank, that was closed and decaying for decades. 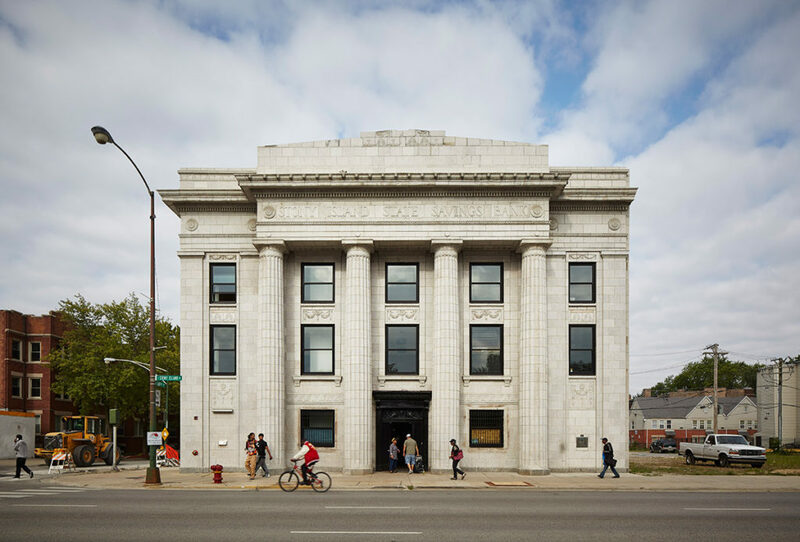 Finally, artist Theaster Gates helmed a renovation and reopening in 2015 as “a hybrid gallery, media archive, library and community center” that often hosts different performance events as well. Among their impressive collection is the University of Chicago Glass Lantern Slides, with “60,000 slides of art and architectural history from the Paleolithic to Modern eras” (you know, just in case this list wasn’t enough for you). Photo courtesy Eric Allix Rogers. Doubling back north a little to Bronzeville, this 1928 night club and music venue boasted such acts as Ella Fitzgerald, Louis Armstrong, Stevie Wonder, and The Jackson 5. It was one of the first entertainment venues to cater to Black audiences and staff Black employees, and predominantly featured Black artists. 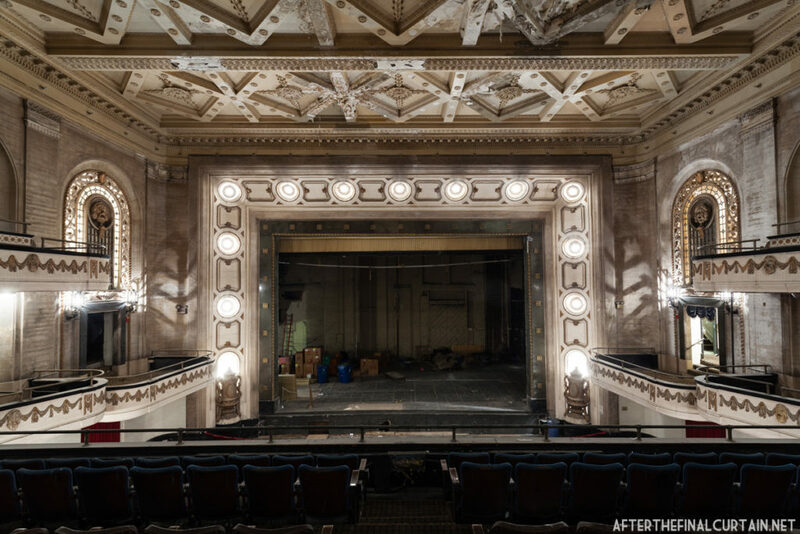 Sadly, the theater was demolished in 1973 after a long decline in business, and is now the site of the Harold Washington Cultural Center. 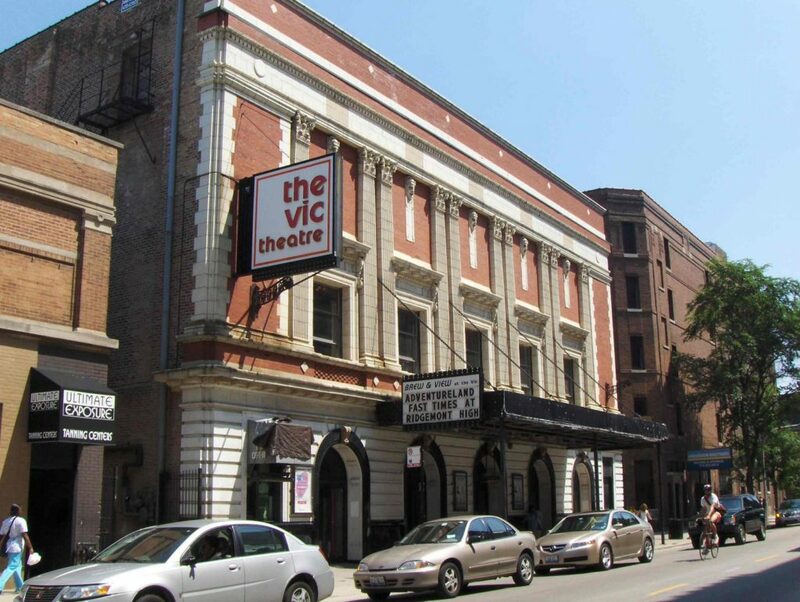 In Central Lakeview, just off the Belmont Red/Brown/Purple Lines stop, The Vic Theatre–originally the vaudeville house Victoria Theatre–still stands strong. 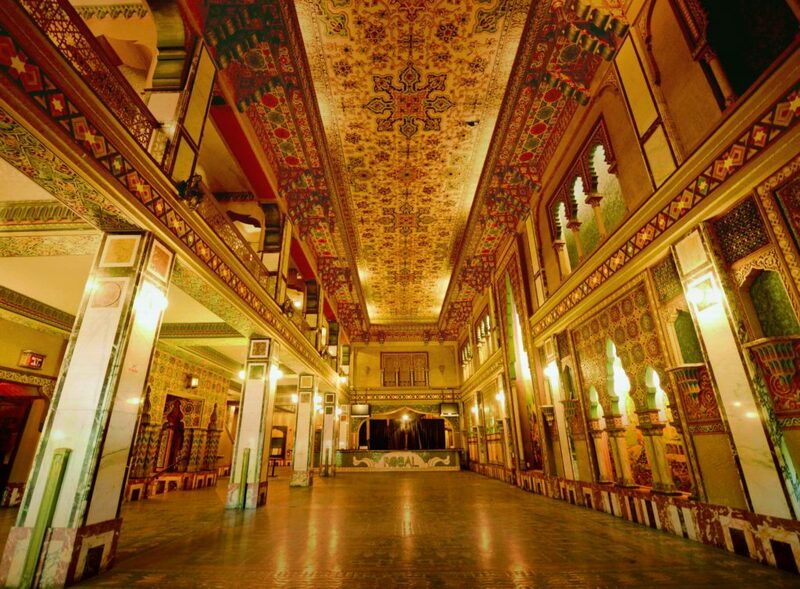 105 years young, the venue boasts stellar acoustics, hence its continued use as a concert hall. Nearby, and built one year prior, the legendary Athenaeum was built as a Catholic recreation center and now serves as a hub of performance in the city of Chicago (you can currently buy tickets to The Liar, Redeemed, and Force Continuum at the Athenaeum on TodayTix). Its success is all the more impressive when you consider the massive fire it survived just before Thanksgiving in 1939, as well as a host of other disasters. 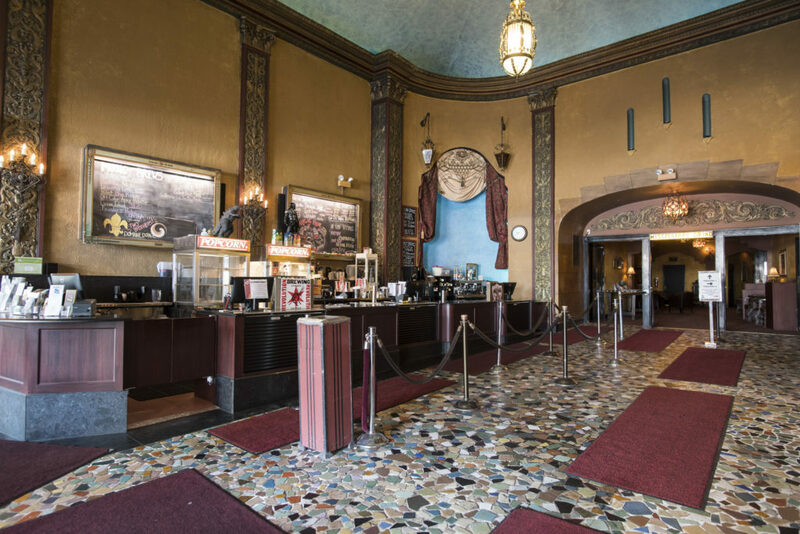 This famous Italian-inspired movie palace constructed in 1929 still retains all of its original charm. You can now regularly catch such cult favorites as The Rocky Horror Picture Show and The Room. Careful, though: it’s haunted by the ghost of the manager (nicknamed “Whitey”) who worked at the theater from opening night for nearly fifty years. Specifically, he died in his sleep on the couch in the lobby, so maybe don’t sit there. 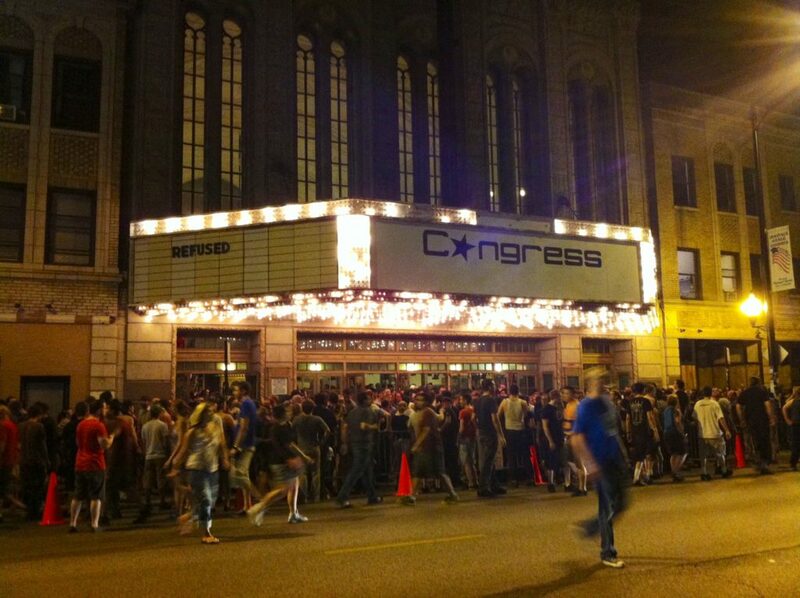 Meanwhile, in Bucktown, lies the Congress Theater, a movie palace that opened in 1926. Originally it could seat a whopping 2,900 people, and when it was much later converted into a live music (and occasionally wrestling!) venue that could accommodate 3,500 people. The city shut it down in 2013, citing numerous safety violations, and it is currently undergoing a $55 million remodel slated to open this year, complete with residential units and hotel rooms. Finally, no list of historical venues would be complete without the Biograph Theater, constructed in 1914. 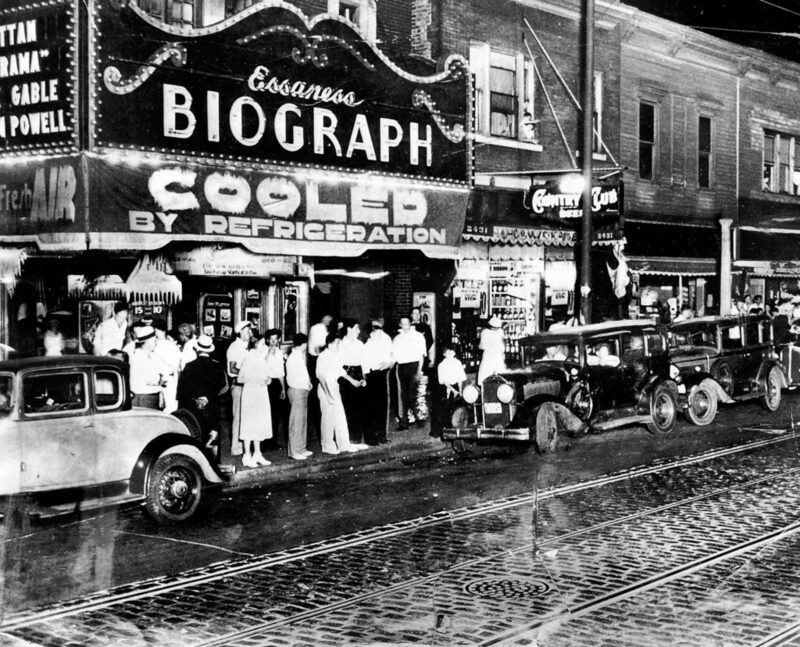 Infamous bank robber John Dillinger was shot and killed by federal agents just outside the theater after seeing a movie in 1934, and you can still catch a crime tour to the exact site to this day. The former movie palace is now of course is home to the acclaimed Victory Gardens Theater, where you can currently catch Queen by Madhuri Shekar! What are your favorite historic Chicago venues? Let us know on Twitter and Instagram @TodayTix!